As promised, blueberry cream cheese muffins! But wait, that’s not all, not one, not two, but THREE variations! HO-EM-GEEZ. Yeah, I’ve been baking like a mad woman today. So my very lovely Food Blogger buddy Monet is the most fantastic baker. 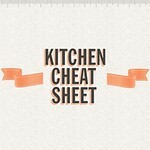 I wish I lived in her kitchen. Seriously, I could just live under the kitchen table and every so often a hand would come up out from under the table and she could pass me a freshly baked cookie, or muffin, or cupcake, or pie… mhm. I’m getting carried away now. ANYWAY. The point is that Monet makes beautiful baked goods, and she uses blueberries in a lot of her cooking, which makes me sooo happy because I. Heart. Blueberries. And when I had an idea brewing to make some blueberry cream cheese muffins, I of course had to turn to Monet and her wonderful repertoire. So this post is dedicated to her. These are Monet’s Muffins. The only changes I made were that I omitted the cinnamon and the crumble topping, and used soy milk and low-fat cream cheese. I did, however, sprinkle some demerara sugar on top which gave it a nice crispy top. They’re gorgeous, really rich despite being pretty low-fat. I brought them down to my friends in Brighton last night for my friend Shirley’s birthday and they gobbled them up. 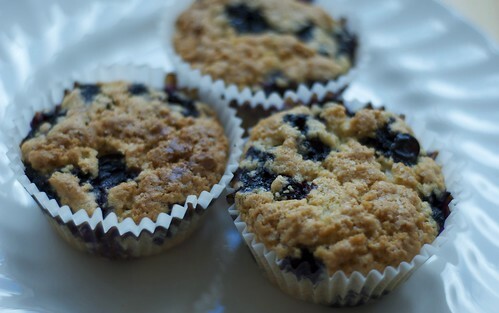 Now these are yummy, delicious muffins, they really are. But I wanted to put my own spin on it and see if I couldn’t figure out a way to get that cream cheese really all through the muffin. So I experimented a little with two other versions, one with the cream cheese incorporated throughout, and one with the cream cheese sandwiched between muffin layers. These were the sandwiched muffins. The benefit here is that the muffin portion is SO crunchy and yummy, but the middle is still beautifully moist. These were the incorporated cream cheese muffins. These are moist throughout and have a much smoother texture, which is equally yummy, it just depends what you’re after. 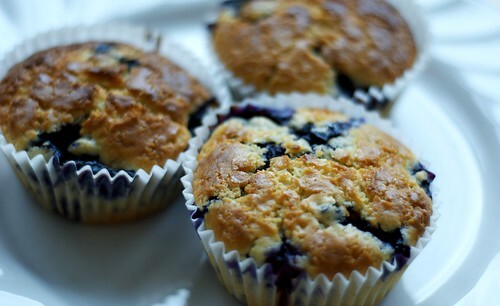 But the best bit about all of these muffins was just how chock-full of blueberries they are. I think the sandwiched ones were probably my favourite, the other ones have a bit more of a cupcake texture to them, but they do feel lighter. So. 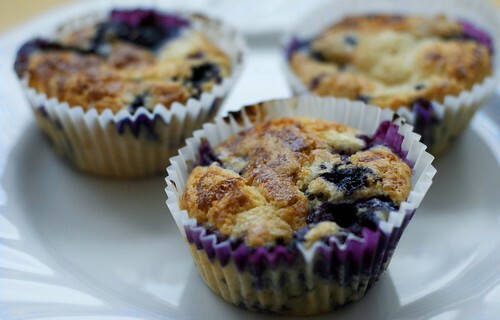 Here is my version of Monet’s Blueberry Cream Cheese Muffins, you can decide whether you want to incorporate the mix into your muffins or sandwich – they’re beautiful either way. Thanks Monet! 1. 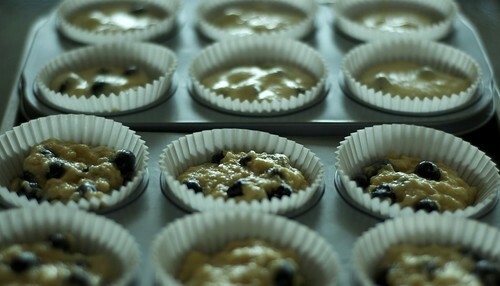 Preheat oven to 200 degrees C. Place paper muffin cups into a muffin pan. 2. In a large bowl sift the flour, salt and baking powder together, add the demerara sugar and stir to combine with a wooden spoon. 3. Add the blueberries – as Monet points out adding the blueberries to the dry ingredients prevents them from sinking to the bottom of your batter. 4. In a separate smaller bowl lightly beat together the soy milk, vegetable oil and egg and then add to the dry ingredients and mix well. Your batter will be very thick. 5. In the same bowl whisk together the cream cheese and icing sugar until smooth. 6. If incorporating the cream cheese, mix it into your batter now and fill up the muffin cups a tablespoon at a time. 7. If sandwiching your muffins, place about a tablespoon into each muffin cup, make a small indentation in the center of the batter and then put about a teaspoon of the cream cheese mix into the indentation. Top with another tablespoon of batter. 8. Bake in the oven for about 25-30mins – keep an eye on it, you’re probably going to want to be closer to 25 mins than 30. 9. Remove from the oven, allow to cool for about 5 mins and then consume with great gusto, preferably covering your fingers and face in blueberry juice. There you have it. Monet – you are lovely. Until next time, peace and love. My sweet girl…you are precious and your muffins look fantastic, and I wish you lived in my kitchen just so I could see you every day! I am honored to be mentioned on your blog. Smiles and hugs! Hi, Jax. The muffins look very appealing in the pix and your clever substitutions are healthful and a la mode (in, the fashionable way, that is, rather than with ice cream on top, – although it might be a good idea, even if that would defeat the low-fat purpose…). Monet – I'm glad I was able to find you and your amazing recipes! Big hugs coming right back atcha!